Social media is an inextricable piece of millennial workers’ lives. It informs their actions and interests both socially and professionally. Likewise, enterprise resource planning (ERP) software supports and enables the integration of key business processes at a great many organizations. The central role each technology plays is what makes the integration of social media with enterprise resource planning (ERP) software such a good idea for businesses. Despite what casual observers may believe, social media and ERP systems are very compatible concepts. Within an organizational context, they stand to be enhanced by working with one another, and yet, so far few businesses have capitalized on this. Some managers even treat the concept as absurd: social media use invites distraction, they reason, so how can it be useful in a professional setting? The above line of thinking is both unproductive and unwarranted. People have been blending their professional and social lives for years now. And it isn’t just professional networking that can be improved, either. By enabling collaboration and enhancing communication, typical day-to-day workplace activities will enjoy improvements from social media integration. The new generation of workers is the most tech-minded in history. They are concerned with what’s new and cutting-edge. Your business won’t be able to attract the best candidates – be they managers, software engineers, or other staff members – if you aren’t able to appeal to their sensibilities or fulfill their expectations of a plugged-in and “always-on” experience. 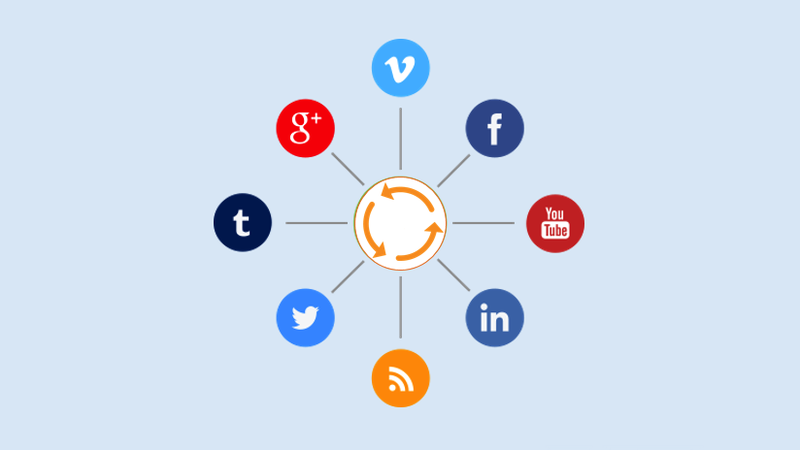 That’s the short version of how ERP systems stand to gain from social media integration. They nurture an involved, modern, and long-term workforce that is prepared to handle all the innovations the tech world has to offer. But let’s get into the more specific ways you can enhance your ERP system with social media integration. This is one of the more obvious benefits. 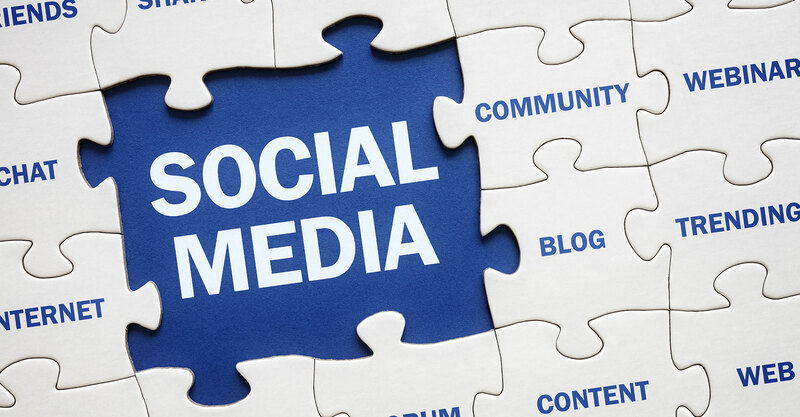 Social media platforms thrive on streamlining communications. The biggest social media platforms of the past decade all saw rapid growth because of their abilities to change the way people thought about communication. 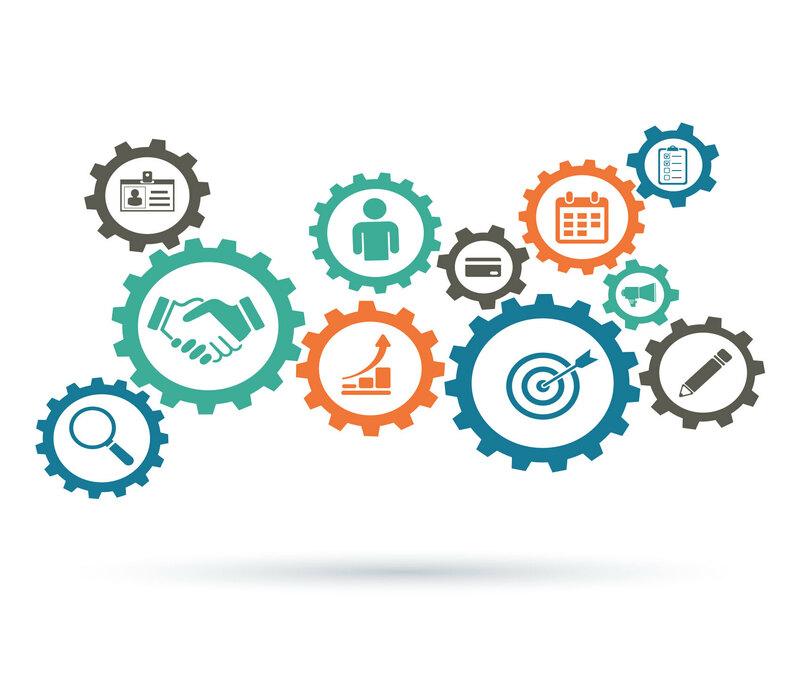 Applying those lessons might take the form of adding features to employee interactions like instant sharing, likes, and algorithm-based machine learning, which in turn can make communicating and collaborating a more seamless part of your business’s workflow. 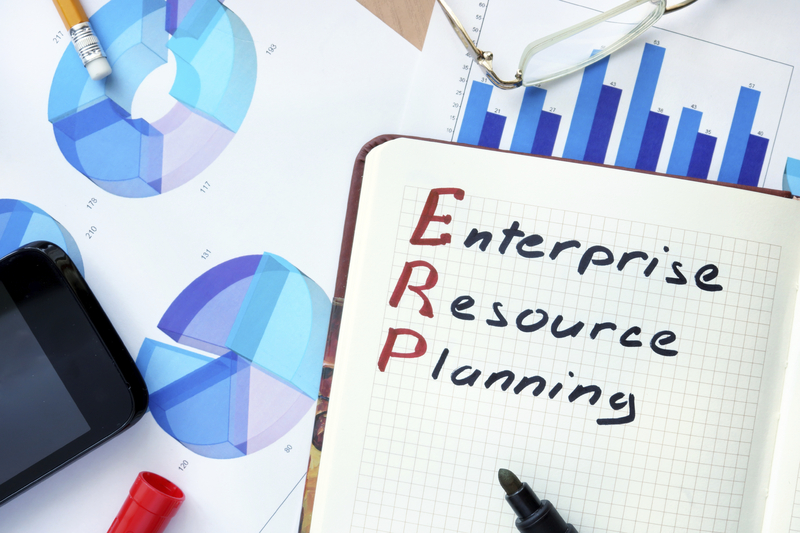 ERP systems are chiefly concerned with maximizing productivity. Conventional knowledge tells us that giving workers, especially young workers, access to distractions during work hours is the death knell for productivity. Right? If we were talking about actual distractions, that may be accurate, but it’s precisely this narrow view of new technologies that makes younger people so hesitant to work for traditional businesses. The kinds of social media features we’re talking about – personalized profiles, activity tracking, group sharing, instant messaging – are far from being distractions. In reality, these features are likely to enhance productivity more directly than many of the other software features your employees use regularly. Instantaneous and integrated inter-office communication is the next step for increasing productivity in every area of business. Questions, grievances, and reports that once required human labor and time-consuming meetings can now be completed in seconds or a few minutes. Integrated communications can also help break down workplace silos – a common occurrence where different departments or teams are reluctant to share information with one another and may even be outwardly hostile towards the idea of sharing information or collaborating. However, when social media’s innovations are paired with the already exceptional productivity features offered by ERP systems, you stand to gain in ways you had never thought possible. What is the most important thing for a successful business? Most answers involve some concept related to serving customers. The consumer experience is the single most valuable part of any enterprise. And the data associated with the customer experience across every channel of communications (omnichannel) – how often they make purchases, how long they spend on your webpage, what informs their buying decisions – is extremely valuable. Social media integration can be key to accessing this data. Omnichannel statistics are integral to ERP systems. The integration of social media with your sales order management, customer service, fulfillment, and inventory management processes yield easier access to these statistics and enhances the visibility and transparency of each of those functional areas. It also enables the ability to monitor the customer journey from beginning to end. Open social media integration allows you to see every step of a buyer’s interaction with your products or services. ERP systems alone usually cannot provide information in as much detail. The end goal is to use all this new data to create custom, fully-personalized profiles for each of your customers. Integration allows you to automate and optimize handling negative consumer feedback. Your ERP system can collect and send the above data to your customer support team instantaneously. While your support team uses social media to collaborate on a group effort to rectify any complaints, your ERP system can collect other valuable statistics pertaining to such issues. For example, questions such as whether your competitors also receive similar criticism or which methods show the most promise for resolving any disputes can be answered. Integration means relevant data can be compiled immediately and acted upon promptly, rather than completed sequentially over time. This can give your business a more in-depth and accurate understanding of its relationship with its customers. With social media integration, you get to choose which social media platforms your employees are using. Many are already using social media during the work hours anyway – they may just think it’s frowned upon to do so and are forced to do it in secret. Integration not only helps you foster more satisfied and engaged employees, it also lets you choose the platforms they’re using. Think of it this way: your staff can either be having conversations on private, third-party servers, or they can be having them on communication lines managed by your support team. This company-wide adoption creates not only a more productive and welcoming workplace but a more easily-monitored one as well. Instant messaging, custom user profiles, and group projects will all be hosted under a single banner. And it’s your banner, at that. 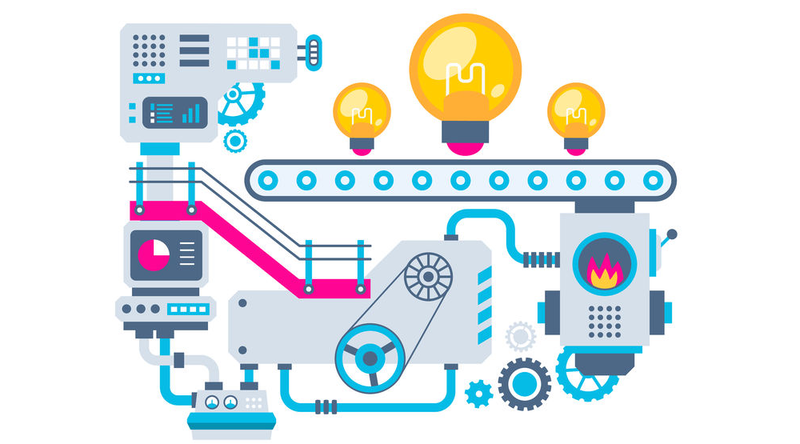 Finding specific messages and statistics, a process that once required considerable individual labor, can now be performed in an instant by checking your integrated platform’s logistics. In addition to increasing productivity, this practice also decreases the possibility that important data will be leaked to competitors. In short, future-minded business executives can increase productivity and efficiency along with workplace stability by integrating their ERP systems with social media.